There is an article in today’s Star News Online about a second excavation at Fort Anderson/Brunswick Town. Check it out here. 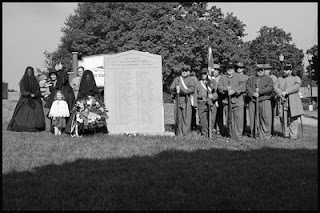 The Salisbury Post reported on a recent Confederate Memorial Day in Salisbury. Check it out here. 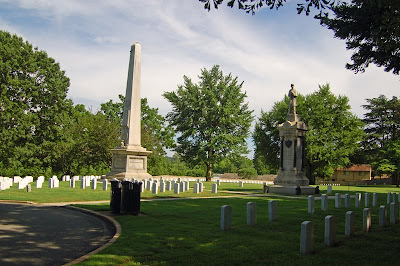 An interesting article on North Carolina's Confederates buried at Arlington can be found here. There is going to be a living history in Hot Springs June 6 and 7. You can get more information here. There was also an article in the Mount Airy News about a recent Confederate Memorial Day service there. Check it out here. Sorry for the lack of post for the last week. We spent the week at my mom and dad’s in Florida, and I planned to continuing posting from their house, but their internet was so slow, I could barely get my email checked. 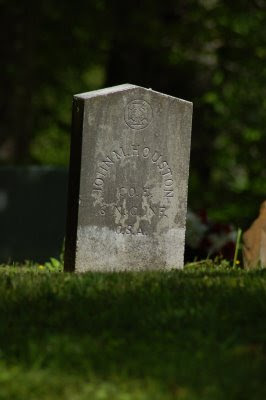 Recently, I was in Salisbury, and visited the National Cemetery connected with the POW camp that was there during the war. Here are a few photos I planned to post yesterday. There is an interesting article about St. Mary’s School in Raleigh in the Raleigh Public Record. The article describes a few of the events that took place at the school during the war. Check it out here. An article about an upcoming event in Onslow County can be found here. Sold out and 58th NCT update. 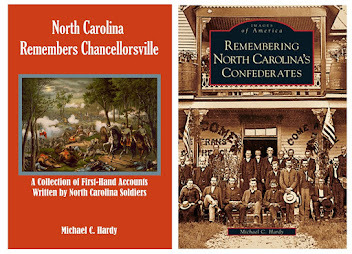 Well, yesterday I received a order for a copy of my book on the Thirty-seventh North Carolina Troops. A gentleman in New York has purchased my final hardback copy that I have on hand. The book is being rereleased next month by the publisher in a paperback edition. 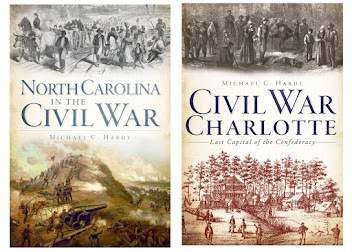 Also this week, I finished chapter twelve of my book on the 58th North Carolina Troops. The regiment surrendered at Greensboro (actually they were in Jamestown), stacked some of their arms, and started marching for home. Yesterday, I started the last chapter of the book – at least, unless I decide to do something different with one of the appendixes. Almost done. While out and about on Sunday afternoon, I photographed another grave on Henson’s Creek (Avery County) that I thought I would share with you. No, I don’t have any questions, or great stories, I just like the way the photograph turned out. John M. Houston was September 15, 1846 and died September 16, 1916. 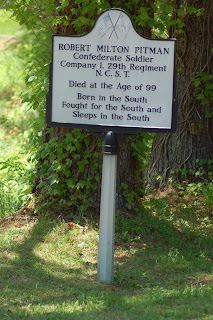 He served in Company E, 6th North Carolina State Troops. I like lists. And I look to know who is first, and last, on my list. But sometimes those names and numbers are hard to come by. 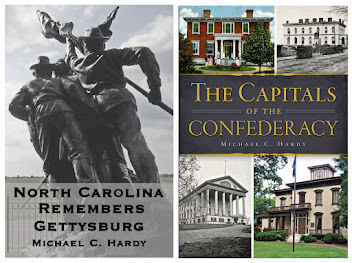 Recently, I’ve been editing a book for our local historical society. It is a collection of obits for people who died in Avery County prior to 1950. 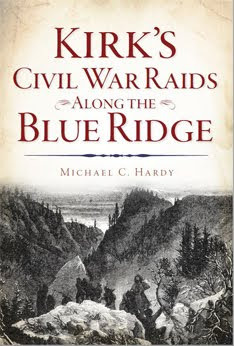 After going through this book, and through my own records, I believe that the last Confederate soldier to die in Avery County was Robert Milton Pittman. Here is what I have been able to piece together. 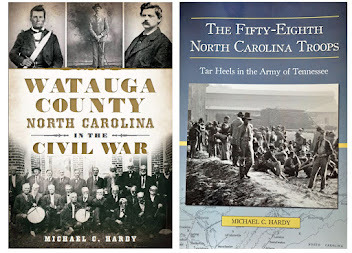 Robert Milton Pittman was born “at the head of Mine Creek,” in what was then Yancey County (now Mitchell) on June 10, 1845. 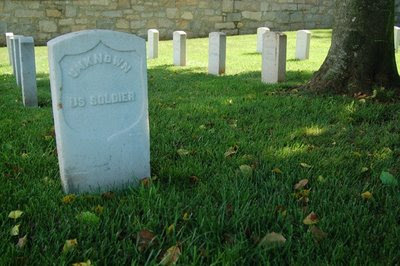 He enlisted in Company I, 29th North Carolina Troops, on July 11, 1861. He was discharged for an unknown reason in October 1861 – a fairly short time to be in service. According to his obituary, “He was the son of Wilson Pittman and Bettie Stewart Pittman. He was a Confederate soldier during the Civil War and served under Capt. John W. Blalock, Co. I, 29th N.C. S.T. His wife was the former Miss Mary Burleson of Toecane who died seven years ago at the age of 75. He is survived by one son, W. C. Pittman of Spear and one daughter, Mrs. Hettie Ingram of Ingalls. 17 grand children and 11 great grandchildren Three grandchildren are now serving in this war. Funeral services were conducted by Revs. T. W. Clapp and J. P. Hall at the cemetery. Burial rites were under the direction of the Hughes funeral home.” Pittman died on August 31, 1943, and is buried in a little cemetery on Henson’s Creek. Not only is there a VA tombstone to mark his grave, but also a privately purchased historical marker. But now for the sticking point: the Robert Pittman that served in Company I, 29th North Carolina Troops, claimed to be 39 years old – a birth date of ca. 1822. I dug hard yesterday into the 1860 census – the area would have been Yancey County. I found two Robert Pittmans, aged 39 and 42, respectively. There was a Wilson Pitman, but he does not seem to have a son named Robert. He does have a son named Milton. However, Milton was born ca. 1855, not 1845. This is confirmed by looking up Milton Pitman in the 1880 Mitchell County censu s. He is listed as being 25 years old, with his wife, Mary. So, I’m stumped. Pitman even received a pension for his service in the Confederate army (I do not have the pension, but I will look it up next time I am in Raleigh – I sure wish they would get the rest of those placed online). I could easily say that the compiled service records are wrong in regards to age, or maybe there are two Pitmans in the 29th NCT and that this Robert Milton Pitman joined late in the war and there is no record, save pension, of him being in the 29th NCT. 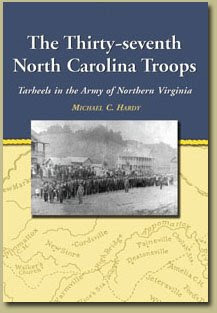 I have been told that the records of the 29th NCT are the poorest of all North Carolina regiments. As you read this, the 142nd observance of Confederate Memorial Day in North Carolina is drawing to a close. There were numerous activities throughout the state yesterday and today. I had the chance to attend two: the service in Burnsville (Yancey County) on Saturday morning and the candlelight service in the old Bakersville Cemetery in Bakersville (Mitchell County). I was hoping to attend a couple of others, but pressing projects kept me away. 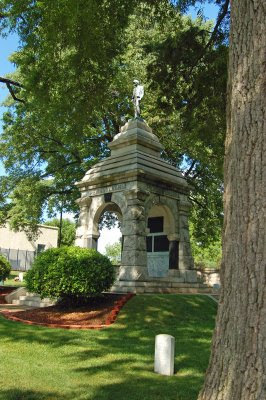 The program in Burnsville started at 9:00 am, and included the flying of a first national on the flag pole in front of the court house, the reading of the names of 148 Confederate soldiers from Yancey County who died during the war, and the laying of a wreath at the Confederate monument on the courthouse grounds. Three volleys were also fired in honor of the common Confederate soldier. The photograph to the right was taken at the monument. The second service was conducted at dusk on Saturday evening. This service was almost rained out, but fortune favored us and the rain held off. There are eleven Confederate soldiers buried in this cemetery. The event was well attended by the public, who braved the possibility of foul weather to honor those who sided with the South during the war. I hope you had a chance to get out and attend one of the many services being conducted across the Tar Heel state yesterday. If you have any pictures, please send them to me, and I will try and put them up. 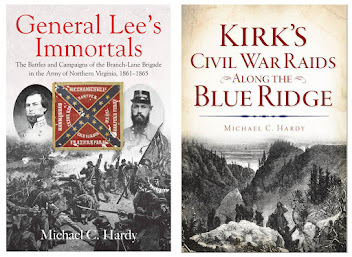 Well, it is that time of year – for Confederate Memorial Day services. 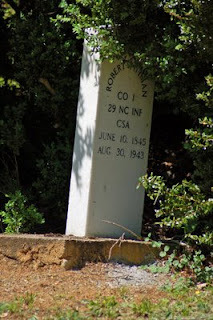 We’ve been having Confederate Memorial Day services in North Carolina since May 10, 1867, when the Ladies Memorial Association of Wake County placed flowers on the graves of Confederate soldiers in the Oakwood Cemetery in Raleigh. Here is a list of a few of the Confederate Memorial Day service planned throughout the state. I am sure that there are many, many more, those are just the times and dates that I have available to me. 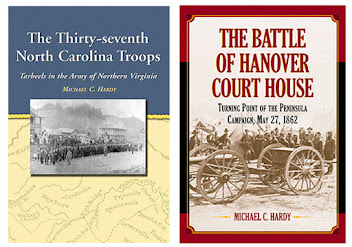 Many of these events have living histories connected to them are and great ways to learn more about local soldiers, and the life of a soldier. 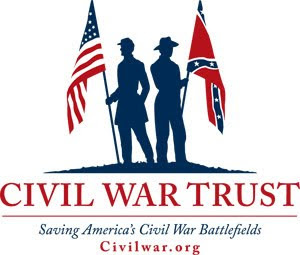 There is a article on Blue Ridge Now on the Civil War display at the museum in Henderson County – check it out here. In the Salisbury Post, there is an interesting piece on Lorenzo Deming, a US Navy sailor who participated in attack on the CSS Albemarle in October 1864. Deming, along with ten others were captured, and Deming later died in the prisoner of war camp in Salisbury. Check out the article here and learn why Deming cannot get a VA marker. The Daily Advance reports that the CSS Black Warrior, a Confederate schooner, were recently found in the Pasquotank River. You can read the article here. Recently, there was an article in the News and Observe on the Bennett Place. You can check out the article here. The Rocky Mountain Telegram reports of a recent living history in their area. You can read about it here.